Home » Christmas » Comments » Countries » History » Popular Articles » Travel » Mumbai Memoir 22- Mumbai Tourism Pheonix- Rising from the ashes! Mumbai’s Chatrapati Shivaji Terminus (CST) train station, Sydney’s Opera House, New York’s Statue of Liberty and Peshawar’s Bala Hissar fort, have been attracting tourists from all corners of the world. Besides being classic architectural monuments they also have one more thing in common. All have been witness to horrific acts of terrorism in recent times. After these attacks Mumbai was ‘black listed’ on the maps of world travellers cause exploring the city no more seemed a safe affair then. Last week, it was disheartening to hear about the Lindt Café terror scene in Sydney, Australia and the terror attack in a school in Peshawar, Pakistan. These incidents are recent addition to the database on global terrorist acts. Condemning these terror acts, as a Mumbaikar, I deeply empathize with the citizens of these cities as they nurse the physical and emotional scars of their brethren. Such terror acts, not only fractures the soul of innocent people but also adversely affects the tourism industry of the terror struck city. It is natural for tourist to feel anxious and stay away from visiting ‘terror prone’ locations of the world, but sadly this positively reinforces the terrorists to continue with their modus operandi of spreading terror. Well, Christmas is here and a holiday mood has seeped in everywhere across the world. Due to safety measures it is obvious that travellers may experience discomfort at airports and train stations, as the officials scrutinize in detail, but I guess we should accept it as part and parcel of living in today’s era. Wiping the muck off its shoulders, it took a while for Mumbai’s tourism industry to get back on track. 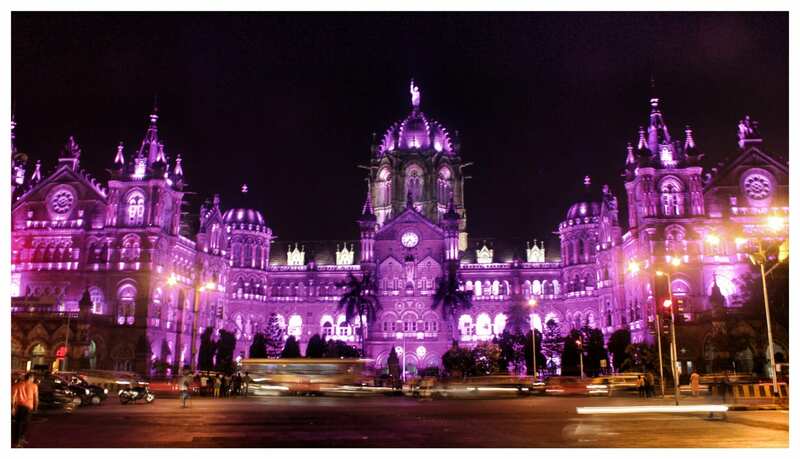 Today, the resilient spirit of Mumbai is evident to the visiting tourists when they admire the CST railway station, which is currently in its 127th year of existence. UNESCO has declared it as a world heritage site. The building façade is illuminated at night which elegantly highlights its beauty, thus subtly distracting the visitors from its dark past. The Leopold Café is all buzzing with people who are young at heart and want to celebrate their weekend with a pint of beer and lots of cacophonic rendezvous! The café is a popular joint for both foreigners and local Mumbaikars who frequent the place which was once sprayed with bullets and hand grenades on that fateful November night of 2008. The Taj Mahal Hotel and Oberoi Trident Hotel are back in business after their respective structures were renovated with an iron will of bouncing back in full swing. The wall of the bakery opposite Chabad House, has been now white washed inorder to mask the bullet marks that were sprayed during cross fire between the terrorists and NSG Commandos. Taj Mahal Hotel- Full of elegance and character! 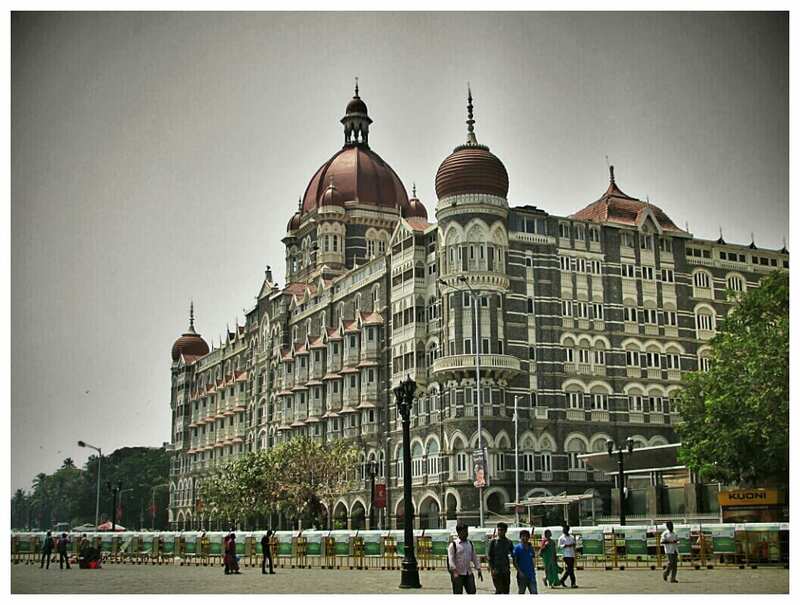 Today tourists frequent all the Mumbai locations that were once under siege by terrorists in 2008. I believe, such visits are the best way to remember the innocent people who lost their lives and also an indirect blow on the face of the terrorists, who want the people to fear and stay at home. The spirit of Mumbai inspires me and it has been a delight to write for b-c-ing-u.com for a full one year now. I am glad to announce that soon I will be coming out with a calendar depicting photographs clicked in Mumbai throughout the bygone year. A motivational quote too would be a part of the table top calendar which will be released in early 2015. It is my way of showcasing Mumbai’s beauty and spirit to the world. As resolved, 10% of the sales of calendar will be donated to social causes. For purchases please email me on shraddha@mindmatterz.net I believe if the terrorists are determined to destroy peace and prosperity, we, who are socially evolved, should be determined to restore it with conviction! Merry Christmas to all and a Happy New Year! May the warmth of Christmas ‘heal the world and make it a better place for you and for me and the entire human race’! Amen! « GIVE US THIS DAY OUR DAILY BLOG. A MERRY CHRISTMAS TO ALL OUR READERS!